Suggesting both ‘in conclusion’ and ‘inconclusive’, this section offers an ending to the website articulation of the Challenging Place Half Moon project. As such, ‘In conclusion…’ is an appropriate linguistic opening yet this final section is inconclusive and ambivalent also. Three points support this ambiguity. 1. Whilst leading to interesting findings the PaR process has been complex and has opened up questions about methodology. Methodologically, the project has used what might be termed ‘applied theatre practice as research’, a little-known variety of PaR, perhaps. Applied theatre favours work where facilitators work with non-professional, context-specific groups who are active participants in workshops and projects. Applied theatre PaR, then, implies practical research that is led and facilitated by the researcher. In more usual performance PaR, the researcher is the auteur and/or practitioner of his or her own work (see examples in Nelson, 2013). In applied theatre PaR, the researcher is likely to be a facilitator of the work of others with these participants and their practice as the ‘researched’. In such cases, the facilitator-researcher would conceive and guide work, as appropriate for the research enquiry. This is increasingly seen in applied theatre PaR PhDs, for example. The PhD student is the researcher-facilitator rather than the researcher-practitioner. In Challenging Place: Half Moon, Mackey’s role was even further removed; she was not even the facilitator. The overall enquiry was conceived to work with already existing community arts organisations, building on strong industry connections at Central, encouraging the fusion of academia and industry and recognising industry practitioners as more effective than stranger-academics in facilitating community groups. One of the challenges of the research project, therefore, was how to guide the practice such that the research questions were extant and pervasive whilst working with and through the organisation’s facilitators. Velada Billson and Adams were exceptionally gifted facilitator practitioners; it was important that they had the opportunity to develop their own material, translating and effecting ideas for the research enquiry, rather than simply following session plans from Mackey, for example. In this instance, then, the PaR was led and held by Mackey but at a distant as the facilitation of sessions – which made manifest the practical research enquiry – were run by Velada Billson and Adams. Much of the strength of the project came from an excellent working relationship, however, which was critical for such a complex PaR project. A way to jointly plan and reflect was found. The complexity of a twice-removed practical researcher - not the practitioner of your own research or even facilitating participants - is an interesting and challenging one, however, and worth considering further. Mackey talks about this research layering process in the video clip below, Inconclusions. Identifying the researcher (pdf) offers a detailed outline of Mackey’s research actions, as 'twice-removed' practical researcher, offering an insight into how this research process operated. 2. 'Findings’ concerning the performance of everyday and fearful place have been summarised and evidenced in the previous two sections, Everyday Place and Fearful Place. These were not entirely conclusive, however, as stated within the summaries on these pages. Nevertheless, they offered some insights into: how young people consider place as expressed through performance; how place can be re- envisioned, reconceived and reflected upon differently by participants as a result of subverting and challenging understandings of place through performance; the lived places of London youth. Identifying responses to the research questions themselves did not preclude a range of other thinking arising out of the project. Some of this thinking is identified in these two clips. - the five weeks of experimentation and the pros and cons of finishing with a performance (e.g. that the performance demanded commitment and that family and public praise raised the young people’s sense of achievement). 4. This project is one of three PaR projects. 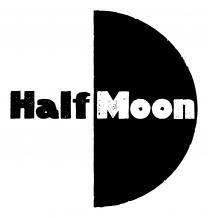 Challenging Place: Half Moon has its own outcomes but a final inconclusion is that all three projects, complete and analysed, will contribute to the overarching questions in the research project, Challenging concepts of ‘liquid’ place through performing practices in community contexts.